All talk about the pending operation (a spinal fusion) and my fears for his well being were poo-poohed with a German expression which was supposed to reassure me that he would be just fine … “Unkraut vergeht nicht” he kept reminding me (directly translated for my non-German friends, it means “Weeds don’t die”). In my anger at his passing shortly after the operation all I could do was shout at the heavens and tell him … “You see, you weren’t a weed!”. All pleading for him not to have the operation were ignored. My Father insisted that it was vital to his well being that he have the operation. The alternative would have been certain confinement to a wheel chair in a very short space of time, an option he was not prepared to entertain. How do we move on from losing a beloved Father? I don’t know yet. I always knew the day would come that I would have to face the world without his presence in my life, always steady, always there for me. My beloved Father was a huge influence on me and my life in almost every way. The last ten years we had a bond that was deep and extremely rewarding and I miss him every day in a way I never imagined it possible to miss someone. Does it get easier as time goes on? So what was the “special” birthday gift my Dad bought me? Lots of Irises and two Japanese flowering Crabapples (Malus floribunda). They were two twigs when we bought them in September and when I left for the USA two weeks ago they showed no sign of life. But I’ve come home to the two crabapples covered in blossoms. My Dad loved these trees, said they were his favourite. There were two Japanese paintings in his home of flowering crabapples. I can’t think of a more appropriate gift from my Dad at this time than these two trees planted in my garden. A place where I can visit and feel close to him. I think he is smiling at “his” trees now covered in blossoms … and me? Well I’m having difficulty looking at them right now. But I see the blossoms out of the corner of my eye and I know they will give me much pleasure one day in the future. *Sherrie, a sweet Cairn Terrier, is on her way “home” to us. She will embark on her long journey from the USA to Cape Town to her “forever” home next week. I look forward to introducing you all to what I hope will be an enthusiastic new little garden companion. I spent the last ten days with her in the USA and we’ve already bonded with her – she is a charming, sweet little dog but as my Dad always told me, she’s quite cheeky and VERY stubborn! I’m thinking that “stubborn” should fit in well here. Such a beautiful tribute. I hope he will meet you in the garden one day. Sending love and tears from Alabama. Hello Christine, my haphazard manner of blogging means that at time I miss out on what is going on with my friends. I am so very sorry to hear of your loss, your tribute to your dad would make him very proud to have had you for a daughter. We are in our mid sixty’s now and Myra since the age of 27 has had to have a laminectomy on five occasions, the suggestion of spinal fusion has come up from time to time. Our thoughts are with you. Christine I am just catching up and am so sorry to hear of your dad’s passing. i lost my dad in 1998 from Alzheimer’s and it doesn’t matter how they leave us, their passing is heart wrenching. …especially a father’s death for a daughter. What a wonderful gift from your dad and I am sure you will find him in your garden. it is where I find my dad…it is why sometimes I must be there in the garden so I can connect with him and other friends and family who have passed…sending much love your way and I hope you know I am always around if you need to talk..even if it is via email. You really touched me with this post. I will have you in my prayers. Thanks Donna. That means a lot to me. I have no words. Just a virtual hug. Just thinking of you Christine. Of course the losses get better, but of course you never stop remembering. I hope that sweet terrier is as great an addition to your life as Max is to mine. Hugs to you. Thanks Linnie – Sherrie (the terrier) will arrive next week. I can’t wait for her to be with us. Oh my dear friend, how beautifully written was this ode to your Dad – I am all tears right now and can’t stop crying! 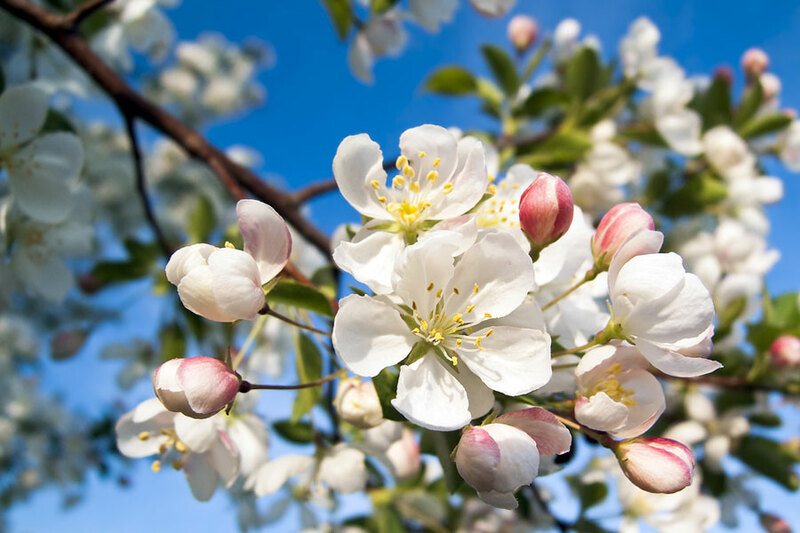 We know that your dad will be close to you in your garden and the crabapple was his soul gift to you. Take heart that you and your dad shared a wonderful relationship. What a true blessing. He will live through you….. Thanks Barbie. I miss him so much. 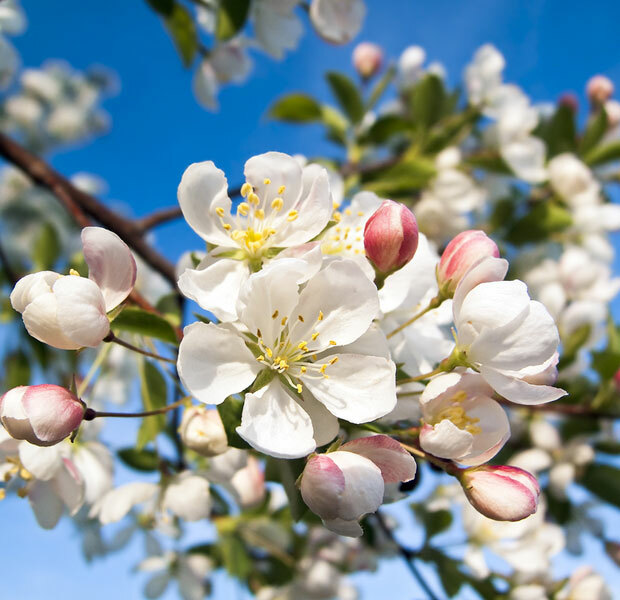 It’s never easy to loose a parent, but the Crabapple trees are the most wonderful living memory of your beloved Father, and hopefully, in the months ahead, will be a source of comfort and strength, and provide the healing and solace you need. Be strong, Christine, and take care. Thank you for your lovely words Dani. It means a lot to me. Oh, Christine. So sorry for your loss. You will meet in the garden, though. Peace and hugs. Thank you Beth … I hope so, sometimes I think I feel him there. I can’t help but feel touched and teary. The last time I felt torn apart was when I lost my first Pomeranian 3 years ago. I’m sure the loss of your father would probably be a whole lot more painful than what I experienced. Take care…I can understand his decision to opt for surgery. Thank you One – your words and thoughts mean a lot to me. I’m dearly sorry Christine. You’re in my prayers. Thank you Cat – thats means so much to me. Christina – I have missed you. And I am so very sorry for your loss. I had to stop in the middle of the post so I could compose myself before continuing. There are so many words I could say, but none would help, so I will just say – I’m sorry. Hi HG – I’ve missed you too – and thank you for your kind words. Its been a great comfort to have so many caring friends send their love and support. I’m very grateful to you. Dear Christine, I’m so sorry to hear about your loss. I hope that in time your beautifulgarden, and especially the carb apple trees, will be a comfort to you. Thank you Lyn, I am sure they will.